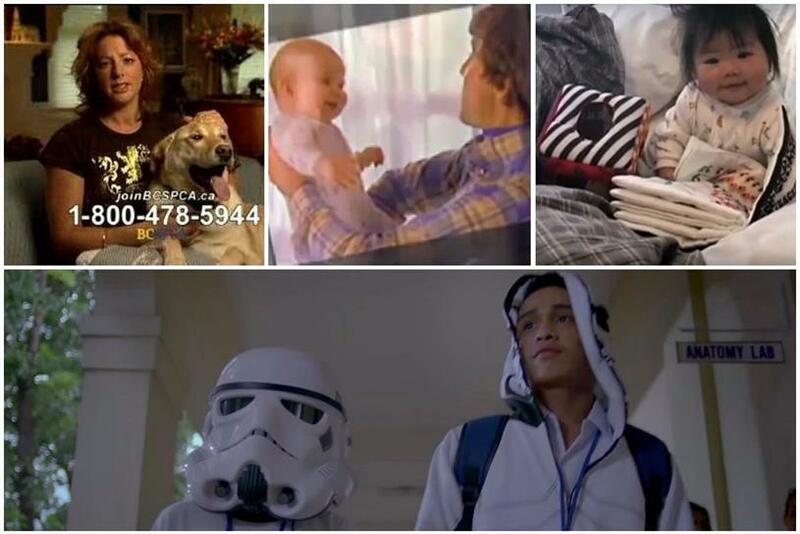 To celebrate the 4A's 100th anniversary, Campaign US compiled the top 10 ads that made us bawl. Memorable ads create emotional responses in viewers, and sometimes sadness is more effective than anything else. This month, Campaign US is teaming up with the 4A's to celebrate the organization's 100th anniversary. We're counting down the top 100 ads from the past century, including "Best Tearjerkers." Grab the tissues, because here are the 10 best ugly-face inducers. Best known for its "dancing on feet" scene, this bittersweet montage debuted during the 1989 Academy Awards. J. Walter Thompson had handled the Kodak account for more than 50 years at ths point, and the partnership was at its height, before the camera photo companies fortunes began to flag. The spot had a resyrgence in 1994, when it made a pregnant Arnold Schwarzenegger cry in the movie "Junior." Even hardened cynics have a tough time keeping stoic when it comes to animal stories. This 2015 Super Bowl spot is a sappy story about a lost dog rescued by the Budweiser Clydesdales, all set to a crooning rendition of The Proclaimers' "I'm Gonna Be (500 MIles)." It even topped USA Today's Ad Meter, beating out "Like a Girl." It's a common lament that no one writes handwriiten notes anymore. Well, this spot for Canadian retailer Take Note drives home the permanence of paper in a life that's all too temporary. The only thing missing is tear-splotched ink, though viwers might fill that void themselves while they follow a couple through an entire lifetime of messages. Kids these days. This Christmas spot followed an apparently sullen teen ignoring his family, before a twist reveal that had everyone feeling a bit guilty. It won a Silver Lion at Cannes, as well as a Creative Arts Emmy for best commercial. It's rare that such a touching ad is also so obviously a naked promo for an upcoming blockbuster. Ahead of the premiere of "Rogue One: A Star Wars Story," viewers were inundated with movie tie-ins, but Publicis' story of a brother and sister team also raised awareness and support for the Philippine General Hospital Medical Foundation in Manila. Considered by some to be the progenitor of nonprofit sadvertising, this spot leaned heavily on Sarah McLachlan's vocals. Designed to run in the early morning hours alongside hard-sell infomercials in time slots the American Society for the Prevention of Cruelty to Animals could afford, it was responsible for $30 million in donations in the first two years after it debuted in 2007. An old man putters around his house, spouting strained English phrases in an attempt to better his language skills. This spot from Polish agency Bardzo for that country's largest auction site garners laughs for much of its 3-minute runtime. But the reason for our protagonist's studies turn in into a heartbreaking little reflection on a modern, global society. Texas couple Jack and George have been together for more than 55 years, but they celebrated their Valentine's Day as a married couple in 2016, using conversation hearts to express their feelings. The spot also won a place on Campaign US' inaugural Inclusion and Diversity Disruptors list. Happy tears count, too. Another I&C Disruptor, this spot enlisted people with Down syndrome to answer frequently asked questions about their capabilites and quaility of life. This 2011 spot marked a shift from performance-based pitches for Google's web browser to a more story-focused approach. While the dad-daughter relationship tugged at heartstrings, more a few cynics noted relentlessly that creating a Google account for a child under 13 is against the company's terms of service. Oops.